Rob Henderson trained in cardiology in London and Manchester and is currently consultant cardiologist at the Trent Cardiac Centre in Nottingham. He has extensive experience in clinical cardiology with particular interest in the interventional treatment of coronary artery and structural heart disease. He served on the Executive and Steering Committees of the three RITA trials of myocardial revascularisation and is the past and current chair of the Trial Steering Committees of the FAMOUS-NSTEMI and ERIC-PPCI trials. He is a former Associate Editor of Heart. He served on NICE Clinical Guideline Development Groups on Stable Angina, NSTEMI, and STEMI (2007-2013), and was a topic expert for the NICE stable angina and ACS Quality Standards. He was appointed Expert Adviser, NICE Centre for Clinical Practice (2016-19) and has advised on numerous reviews of novel technologies. He is a member of the Secretary of State for Transport's Honorary Medical Advisory Panel on Driving and disorders of the cardiovascular system (2013-17). He was a member of the British Cardiovascular Intervention Society (BCIS) Council (2006-2013) and was BCIS Clinical Standards Lead (2008-2013). 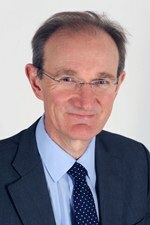 He is currently Honorary Secretary of the British Cardiovascular Society (2013-2017).